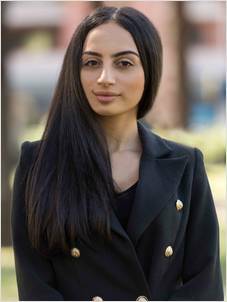 Organised, passionate, positive and always looking for the next challenge is Abby Asaad, our newest member at Laing+ Simmons Granville, holding the position of Leasing Executive. Abby is committed and thrives on providing outstanding customer service, enjoys building relationships and believes that open communication is the key in satisfying her clients’ needs in finding their perfect property. As a Leasing Executive, Abby meets with potential tenants, processes and finalises Lease transactions and undertakes property inspections. Her friendly, approachable nature and great communication skills are important attributes when dealing with current and potential clients. Her previous experience brings a fresh and creative approach to the team at Laing + Simmons Granville and knows full well the importance of engaging with customers in a professional way. Abby is looking forward to building her knowledge which will see her build a successful career in real estate.